Located in Eyrarbakki, an historic fishing village, only 40 minutes drive from Reykjavík, there are two beautiful self-catering cottages. Just a few steps from the Atlantic Ocean, the cottages have been lovingly refurbished in a romantic style. One sleeps four, the other two, and each has a well-equipped kitchen, living room and private patio. 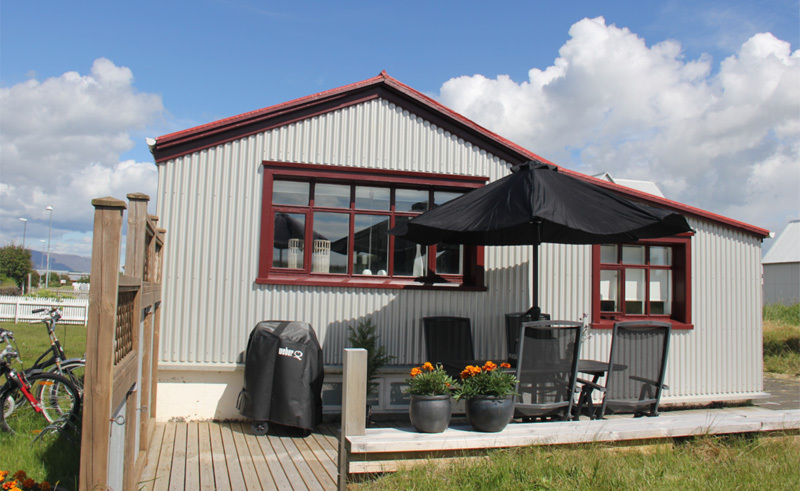 The cottages are in an ideal location for visiting many of south Iceland’s highlights.